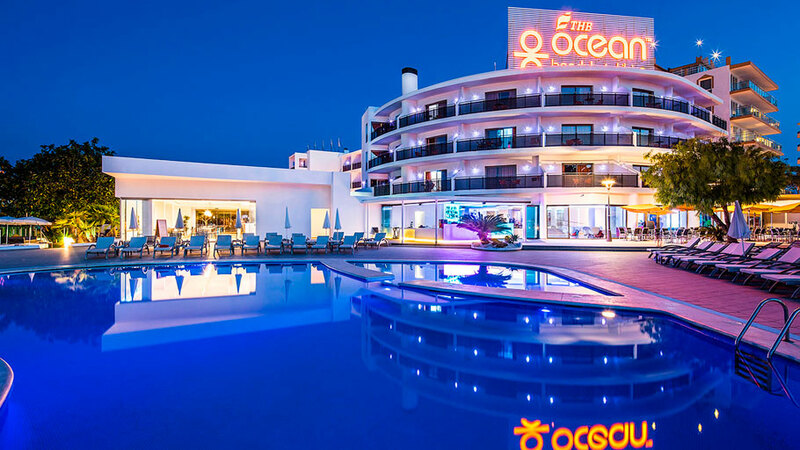 In the northeast of Ibiza, in San Antonio Bay, the THB Ocean Beach Ibiza hotel is located. 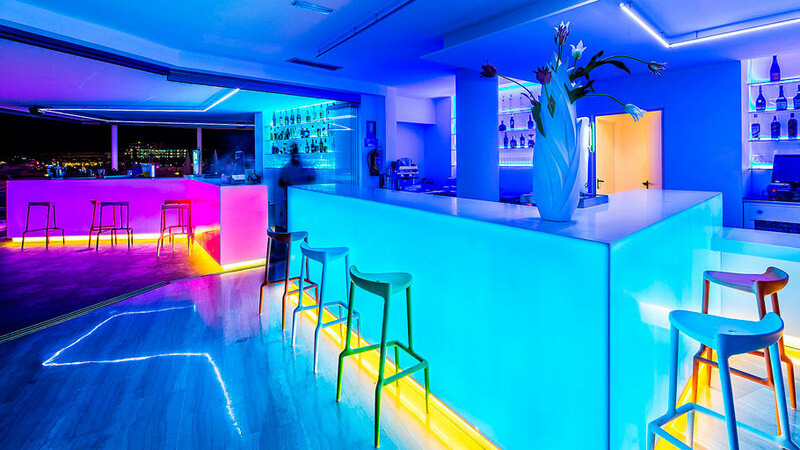 A four-star hotel which combines the traditional Ibizan style with the most cutting-edge aesthetics. The Ocean Beach Ibiza enjoys a privileged setting, bathed by the Mediterranean Sea and its spectacular sunsets, as well as being immersed in a unique atmosphere of both fun and seafood. 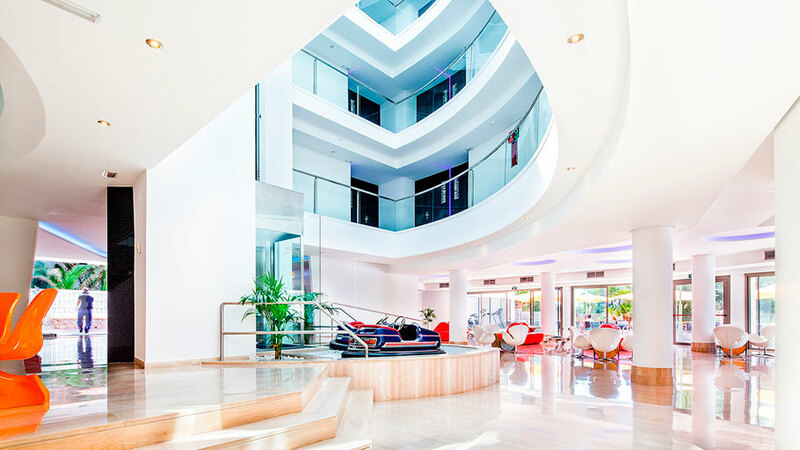 In the refurbishment of its 63 rooms, including suites and junior suites, the hotel team has banked on PORCELANOSA Grupo’s firms’ products, which turn the hotel into a luxury destination designed for maximum enjoyment on the island. The cutting-edge KRION® Solid Surface compact mineral from the firm, Systempool, has been the star material in the hotel’s refurbishment. 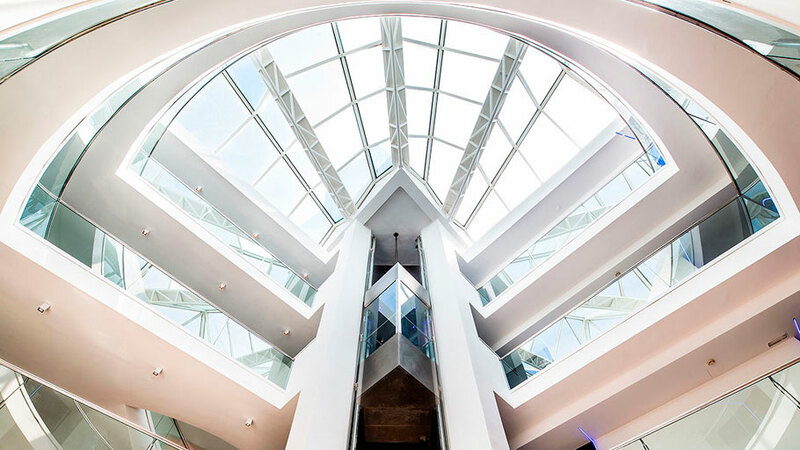 It is very evident in the hotel, giving it a modern look, together with the characteristic resistance of KRION®. 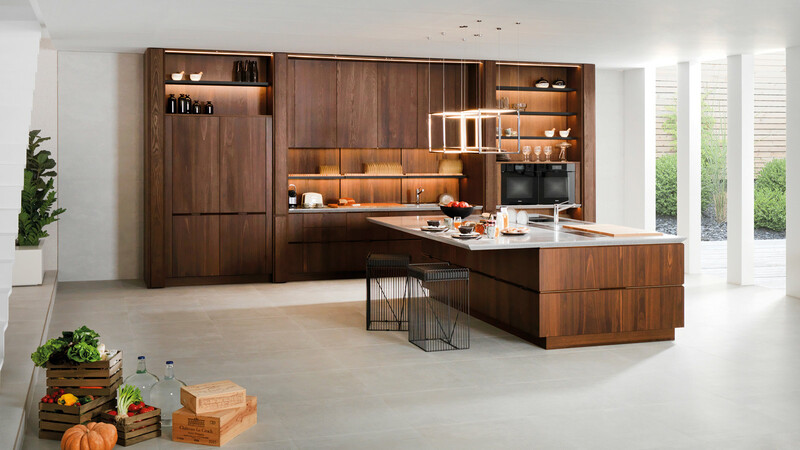 This acrylic stone can be found both in the bathroom countertops and the rooms, as well as the dining room bars and the main bar, including backlit lighting that achieves that new look. Also, at the reception desk and the milled low relief sign, reaching a unified coherent and unique aesthetics. 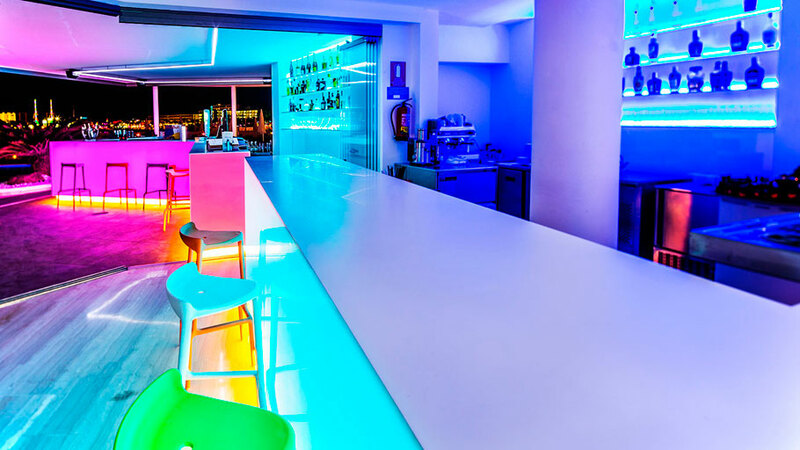 Specifically, the 1100 model in Snow White colour and the extreme light 4102 model have been used in order to get a combination of lights that emulate the Ibizan sunset, leaving out the colour white as the main attraction, which is a huge characteristic of the island’s architecture. 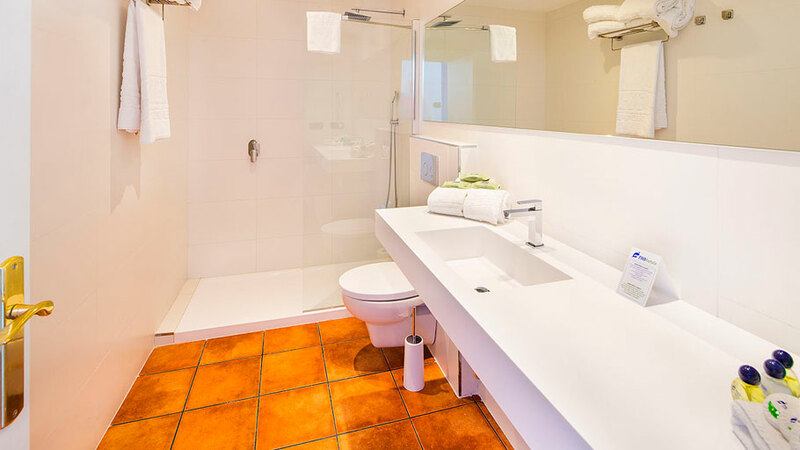 To complete the bathroom design, the bathroom equipment and taps from Noken have been used. 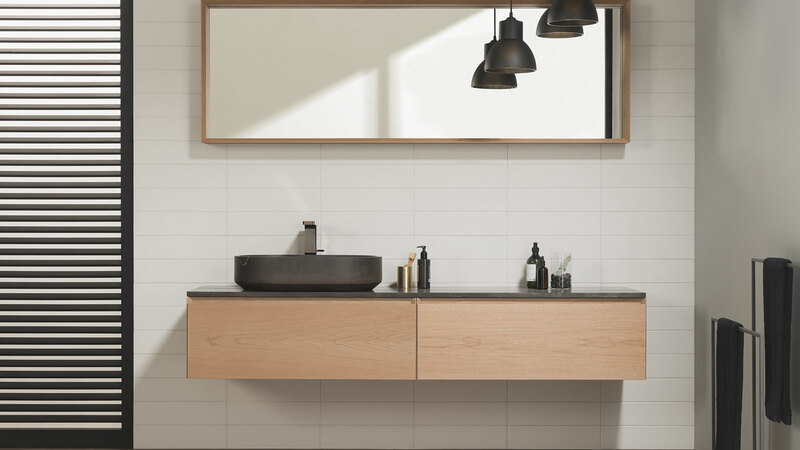 Aiming to achieve a design based on simplicity and modernity which fits in with the hotel’s style, the wall hung sanitaryware from the Urban collection has been chosen, a piece with both smooth lines and a minimalist look. To complete the bathroom design, the Hotels shower pack from the firm has been installed, a shower bar with support, and with two functions and flexible dual anti-twist clamp and a 15 cm Neptune Slim Square shower head, which completes a shower experience that is both relaxing and unique. Regarding the basin taps, the Hotels basin mixer, a simple but elegant design made of ceramic rubber. 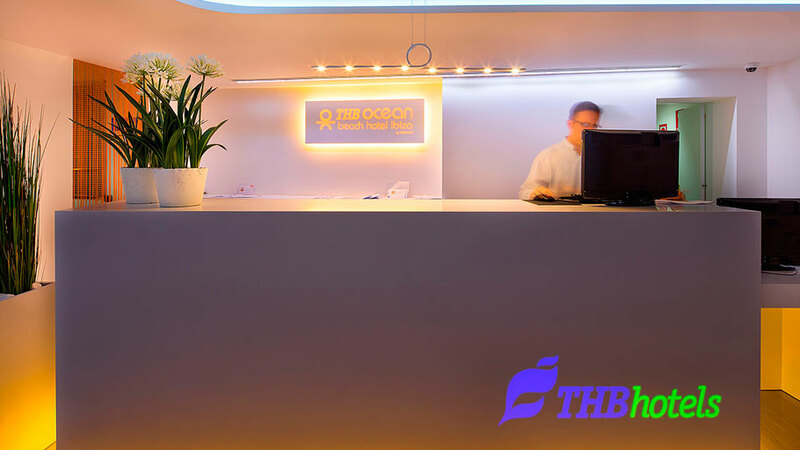 Thus, the Ibiza Ocean Beach Hotel THB has achieved perfect harmony between tradition regarding Ibizan villas with that Mediterranean style and the avant-garde look with the use of the most innovative materials and minimalist design.